A robust cloud platform for data storage and advanced analytics with easily scalable architecture and inbuilt device management capabilities. It is an intelligent system which can learn processes and adapt itself to changing technological environments. 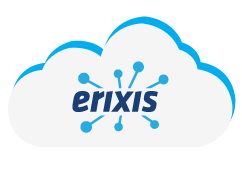 Multi-protocol support (MQTT, FTP, TCP, HTTP, OPC etc) and device agnostic nature makes ErixisTM as a “go to” platform for customers with mixed set of legacy to modern devices from various vendors. ErixisTM ensures reliability on the data by establishing acknowledgement mechanisms. The generic nature of ErixisTM enables the plug and play solutions for various domains with minimal effort. The third party API access enables the vertical solution providers to operate and build solutions on top of ErixisTM to plug and play either devices or business logic. The legacy systems can be easily integrated as part of ErixisTM. Further, the platform provides an option to process, analyse and visualise data collected from any legacy devices. The platform completely supports data driven decision making through in-built machine-learning capabilities. In case of excess data volume, the platform provides the option to archive historical data. ErixisTM is a scalable, secure and unified cloud platform for end-to-end IoT solutions. Remote monitoring and analytics are made easy through the bundle of features provided by ErixisTM. Its fault tolerant and scalable nature ensures zero downtime. ErixisTM is implemented using cutting edge technologies to deliver high performance solutions. 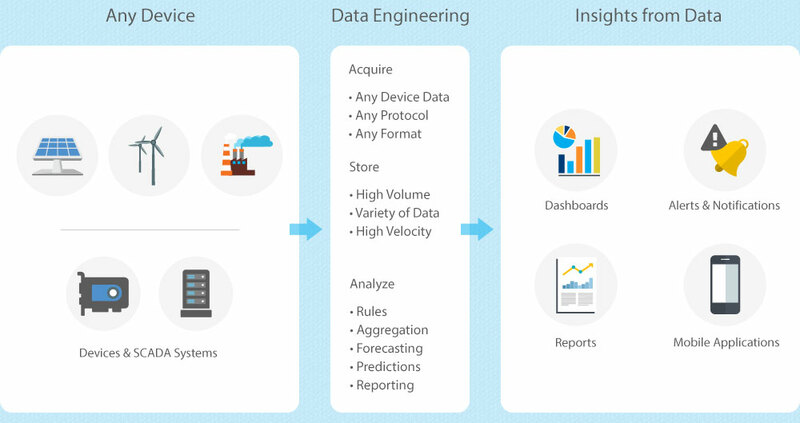 The cutting edge Big Data architecture is scalable and secure to handle the high volume, velocity and variety of data. The platform is modular enough for adapting any technology changes for device communication, data acquisition, data processing, data analysis and data visualisation. The platform provides secured user access through role based access control and the data transfer is completely encrypted. ErixisTM allows to administer or configure many kinds of custom notifications to the end users based on the requirements. Based on the business requirements, any kind of user defined rules can be plugged into the platform for message processing, storage, aggregation, filtering, notification and reporting. The platform has support for device management, device diagnostics, load balancing and commands to perform any direct action on the device from the remote command center. ErixisTM has the provision to control and update the firmware on the device at any moment (FOTA and COTA). ErixisTM provides a rich set of visualisation components to derive insight from data. The visualisation components are modular and configurable to suit various domain needs and business requirements. While providing a rich library of visualisation multi-device support and responsiveness are also addressed. MachinePulseTM provides rapidly scalable, end-to-end solutions to enable a smarter industrial Internet of Things (IoT).